Wow, I didn't realize you were this big of a Tolkien fan! The Lord of the Rings is a great tale and good fun, and you might be right about the reason why its story has such appeal. But creating the central cultural currents of our age? That is taking things too far, even as a hypothesis. I really don't agree with this of course, that Tolkien pioneered or popularised a new moral model of heroism that broke sharply from the assumptions in the fiction from the background of which his arose. Though you really seem to be saying that he canonized this outlook in a way that is particularly inspiring or iconic or enduring. But certainly in a "This is provocative and interesting and worthy of seeing it lovingly eviscerated by a fantasy critic and historian who really knows their stuff" sort of way. 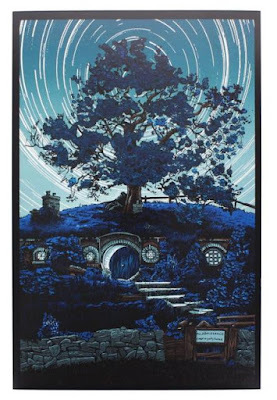 Tanner: Either way I wager that in a few centuries time when our descendants' literary memory has collapsed our age down to one author (as we have done with the ages of Chaucer, Shakespeare, and Milton), Tolkien will be the man remembered. I've noticed this argument on your twitter and wanted to reply, as a non-twitter person. Hence, as follows, at length. I'm a skeptic; we collapse Chaucer's age down to Chaucer, because very little other published fiction existed in the time of Chaucer. He's the best of a small crop, and mostly relateable to not so much for reasons of his excellence as an author, but publishing in Middle English and because his social description of the society he lived in is of more curiousity to an educated and contemporary audience than contemporary chivalric romance and chanson (which we are of course largely unable to take as seriously as they did). In 1500 (waaay after Chaucer) there are about 5 unique new book titles per million published in England, most of which will be non-fiction. In 2009 there's about 2000 and a much higher population - https://ourworldindata.org/books. Even in 1610 (the 17th century!) there is almost no work categorised as fiction being published in English. We telescope down to Chaucer and Shakespeare primarily because there's not much else, and they both suit modern sensibilities better than anything else of their time and clearly stand above their peers in skill. 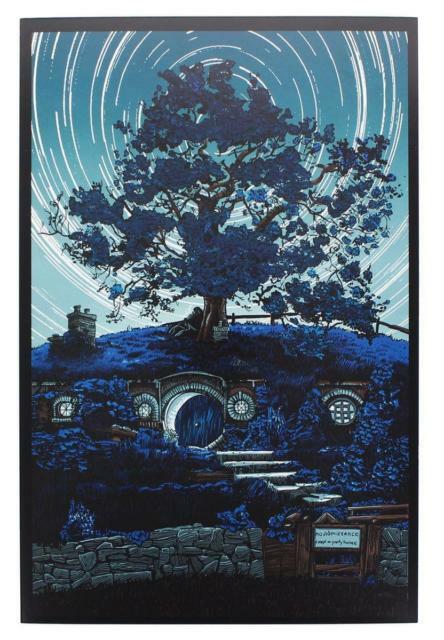 For Tolkien, the literature of the 20th century is voluminous (if much less so than the literature of the future will be), he's not much better than his peers (indeed, even within fantasy, he's not even particularly good) and we have no idea if we what he writes will suit the sensibilities of a future audience, and "translate", at all. His position is that LOTR EMBODIES the spirit of the age, not that it created it. You are right about the scale of Tolkien’s influence. He is underrated because he is disdained by academics. His influence is universal and saturated our culture. Star Wars and Harry Potter, to pick two massive examples, are downstream from Tolkien, and would not exist without him. This holds true for Chaucer but not for Shakespeare. 600 plays remain from Elizabeth's era alone; several times that were performed, but later lost. So take this list by linked to above, compiled in 1909. He groups things into three categories: from Beowulf to Dryden (800-1700 AD); 18th century, and the 19th century. In group I he lists 29 poets and four prose writers we would call "fiction" today (along with a greater number of philosophical and memoir material). In group II he lists 23 authors of prose fiction and 18 authors of poetry (again with large number of nonfiction writers not included here). In group III he lists some 38 poets and some 40 novelists. Now you can say there were more novelists in the 19th century than the 17th, and you would be correct. But this is rather besides the point. 19th century English novels has largely been reduced in our age to a handful (Austen, Shelley, Dickens, Bronte I and II, Eliot, Hardy, and Conrad), and poets to just as small a number (Blake, Shelley, Byron, Wordsworth, Coleridge, Keats, Tennyson, Arnold, the Brownings, and I suppose Housman and Kipling, who cross over into the 20th century). But of course there were hundreds of novelists and even more poets published in English across that century. Hundreds and hundreds. Yet the reduction occurs. So I a comfortable with the prediction that--given enough time--our age will be reduced to but a few authors. If we are lucky it will be reduced to more than one. The question is: which author will it be? Our subjective judgements will play a part in our guessing of course. I find the claim "he's not much better than his peers (indeed, even within fantasy, he's not even particularly good)" obviously false and utterly nonsensical, so don't know quite how to argue with it. For 'future' sensibilities: I suggest only this. One, we are already *in* the future, several generations past that book's first publication. Second, the book's reception across the world may suggest something about its long term potential in a different cultural context than the present. I have met the Tolkien crazed in the far reaches of the world. I can say that for very few works of art. Insightful, but I would partly exempt Luke Skywalker from the list. Like Harry Potter, he has a destiny rooted in his past that is at first unknown to him. Unlike Harry Potter, he does not just want to be normal or live a quiet life. He has elements of the more classic heroic youth- even in a backwater, he dreams of heroism and glory, though he starts out very unready for it. He is even impatient with the training, considering it at many points too slow. He is not a reluctant hero until well into his story. Not, I would say, until his first confrontation with Vader. 600 plays is still a pretty small sample size to produce too much that's enduring, and satire and comedy ages fairly badly. Re; the Victorian Era, I can't speak for the United States, but in Britain we certainly also remember Conan-Doyle, Stoker, Haggard, Carroll, Gaskell, Stevenson, Wells, Wilde, Trollope, Thackeray, and not as curiosities or scholarly footnotes, but as the authors of regularly adapted art (how many read them in the original is harder to say). I wouldn't argue against attrition over time (older works are crowded out by newer works which are more immediately culturally relevant). But it's hard for me to believe that we reduce to a similar size corpus of well known works over time, invariant to how much was produced. A similar *proportion* of what was produced, that I could believe.